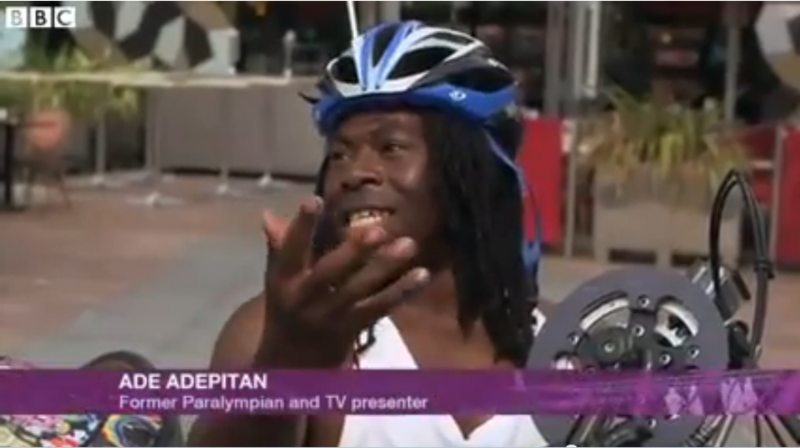 Christiane Link and Ade Adepitan in a contest to get across London. Christiane is using public transport (brave woman! ), and Ade is handcycling through London traffic (brave man!). Afterwards they discuss the legacy of the London Paralympics.